I absolutely adore this new personalised wall poster from Mapiful. And I love personalised home products. 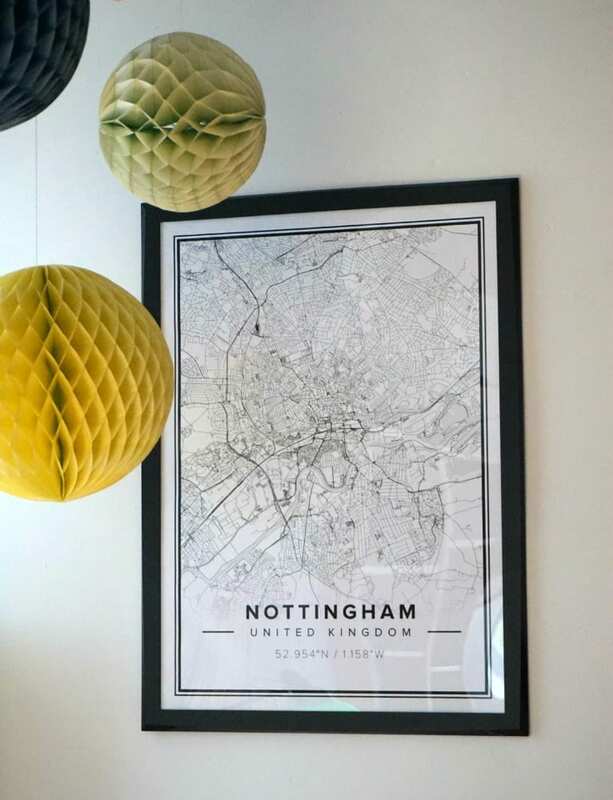 The Mapiful website allows you to create your own poster by simply inputting the city name you would like to feature. That might be a special location for you, somewhere you experienced a wonderful holiday or, of course, the city in which you live. Then once the map has loaded, zoom in or out to get the right amount of detail on the screen. I zoomed in a little to try to focus on the part of the city where we live. You can even choose a different look if you like too, from Modern, Pantone, Strict or Clean. Each has a variation on how it sits the text on the poster. I went for Modern in this case. Next choose your sizings between Nordic, American and Large (mine is a Nordic 70 x 50cms and fits a standard Ikea frame) and then finally the orientation, either Portrait or Landscape. I’m sure you’ve guessed that I chose my home city. I’m hoping to hang this in our office once all the renovations are completed, and I might even team it with a few others too. I think they have great impact when hung in groups. I love how your wall can tell a story of who you are and what you’ve done. It makes for a great talking point too. You can find out more about the fabulous Mapiful posters, and design your own on their website, HERE. All prices are in USD but don’t worry about that, there’s no problem paying in pounds if you’re in the UK and shipping is included. Each poster costs $60 which is roughly around £38. And we’re so excited about this collaboration, I’m able to offer a 10% discount to all my readers. Just use the code LOVECHICLIVING in the gift box section at checkout. The code is valid until October 31st 2015. Why not tag me on social media too if you get your own poster, I’d love to see how it looks in your home. Disclosure: I was gifted the poster in exchange for the review. All comments and opinions are genuine and honest. Oh how lovely – what a great gift idea for a housewarming! Ooh I might just get one of the most random places I can find, although my birth place of Stoke on Trent might make a good ‘un too! Oooh these are beautiful Jen. 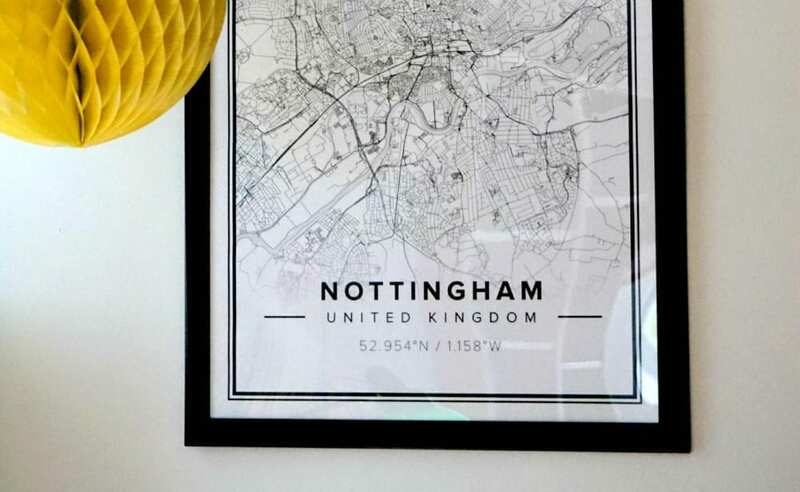 I’m not massively keen on maps unless they are quite minimalistic or contemporary so these are right up my street. That looks great, and you are right, it really is simple – I’ve been on the site and put in a little village and the map popped up straight away (I thought it might only do towns and cities). Great stuff, and everyone loves maps! That is such a simple idea but it is a great piece to have on the wall. I love pictures that tell a story and that are meaningful to you. This would make a great gift for someone. 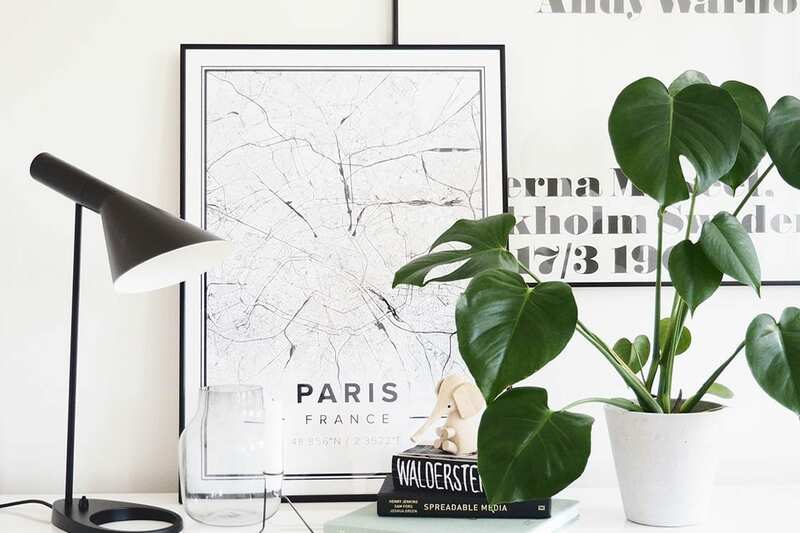 Yes, I love maps as wall art too.